This Strawberry Chocolate Smoothie is a green smoothie in disguise. It makes a great breakfast. Romaine Lettuce is rich in chlorophyll but has a rather neutral flavor. Green smoothies can sometimes have a distinct bitter taste. Romaine Lettuce works great for making a a lighter and sweeter smoothie. In this smoothie it helps to bring out the fruitiness and sweetness of the strawberries instead of overpowering it. If you are craving something sweet, this Strawberry Chocolate Smoothie is a great healthy fix. 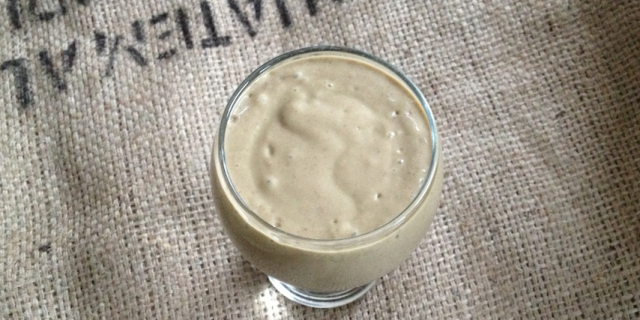 The combination of strawberries, banana, cacao, avocado and almond milk creates a silky smooth, creamy chocolate drink. This Strawberry Chocolate Smoothie is the best way to get a healthy chocolate fix!